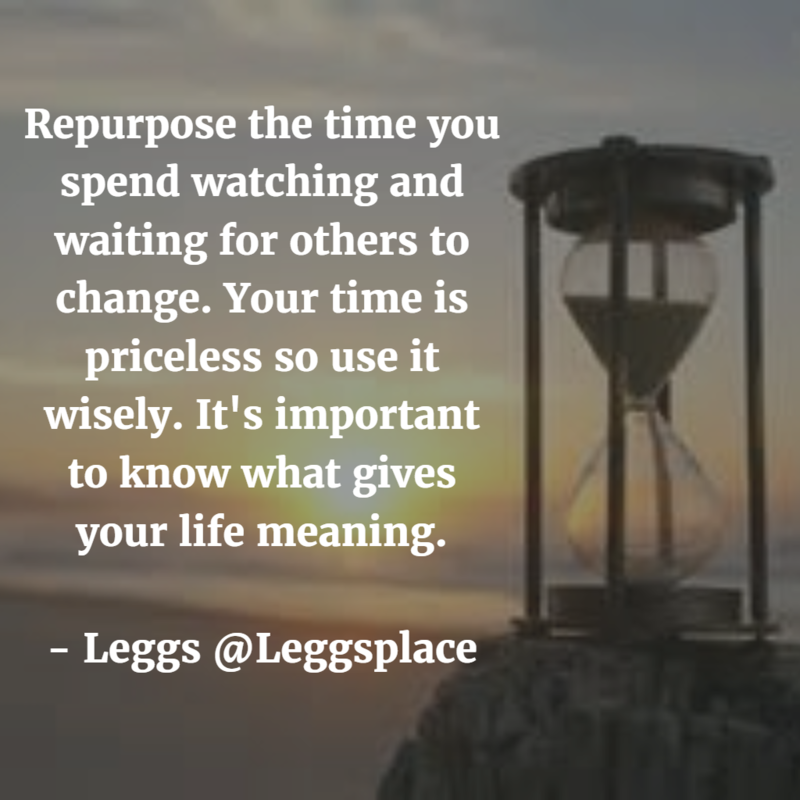 Repurpose the time you spend watching and waiting for others to change. Your time is priceless so use it wisely. It’s important to know what gives your life meaning.